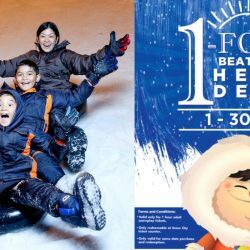 Beat the heat by experiencing sub-zero temperatures at Snow City! Enjoy 1-for-1 Adult snowplay tickets in the month of April! Jio your family and friends now!